The station also updated its logo, changing its distinctive “4” from blue to red. The design has also switched to have the image “reversed” out of a red box. The “4” icon has become completely flat, shedding its longtime gradient blue fill and beveled edges. 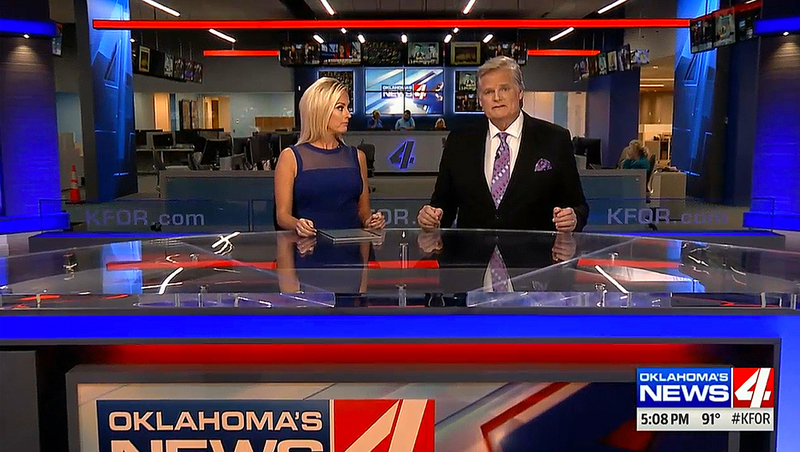 KFOR’s new look also includes a new graphics package, which is based on Tribune’s Fox affiliate angled look, a design that ties into the strong lines found in the station’s distinctive “4” logo. The station continues to make heavy use of the “for” (borrowed from its call sign and pronounced “four”), with the tagline “Looking out 4 you” and, the hashtag #Moving4Ward being used on social media to promote the new building. 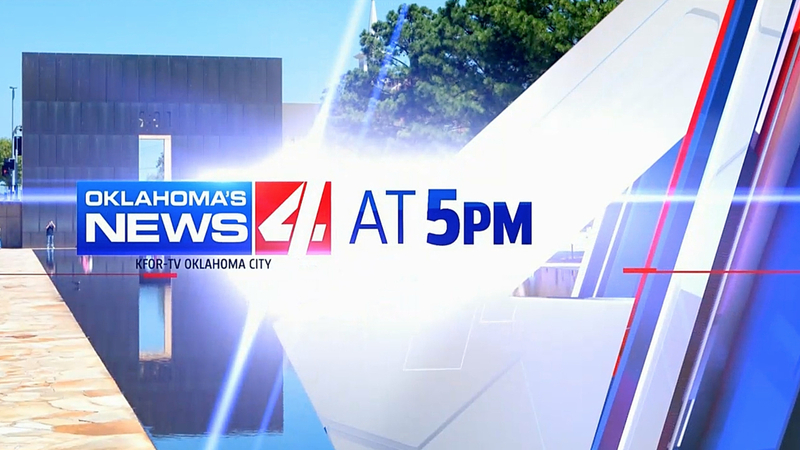 The station’s new logo is featured prominently throughout newscasts, serving as a rather large bug. In addition to the visual changes, KFOR also dropped its longtime news music, which it had used for some 20 years in favor of Stephen Arnold’s “The Rock,” which features a prominently NBC chimes signature.